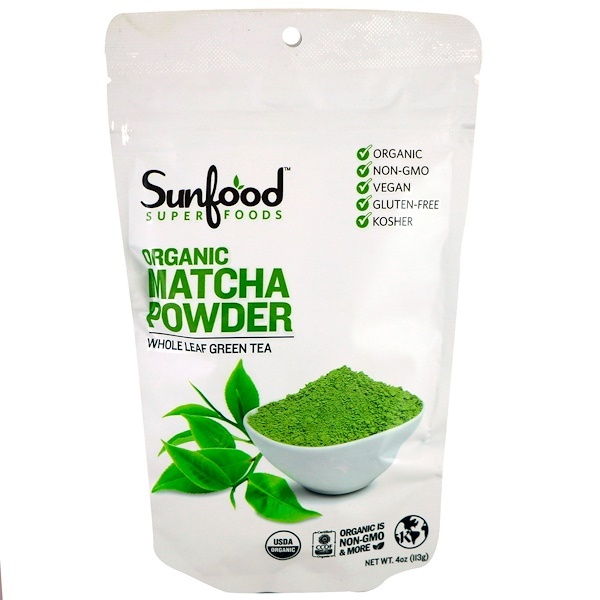 Matcha Powder is a unique type of tea made from whole Japanese green tea leaves. Before harvest, the plant is kept shaded from the sun, this results in boosted chlorophyll content and an incredibly vibrant emerald color. Matcha is known energy booster and is roughly ten times more potent than regular green tea. The process of grinding the whole leaf into a super fine powder yields a higher concentration of nutrients and a stronger flavor profile. Storage: Reseal bag after opening. 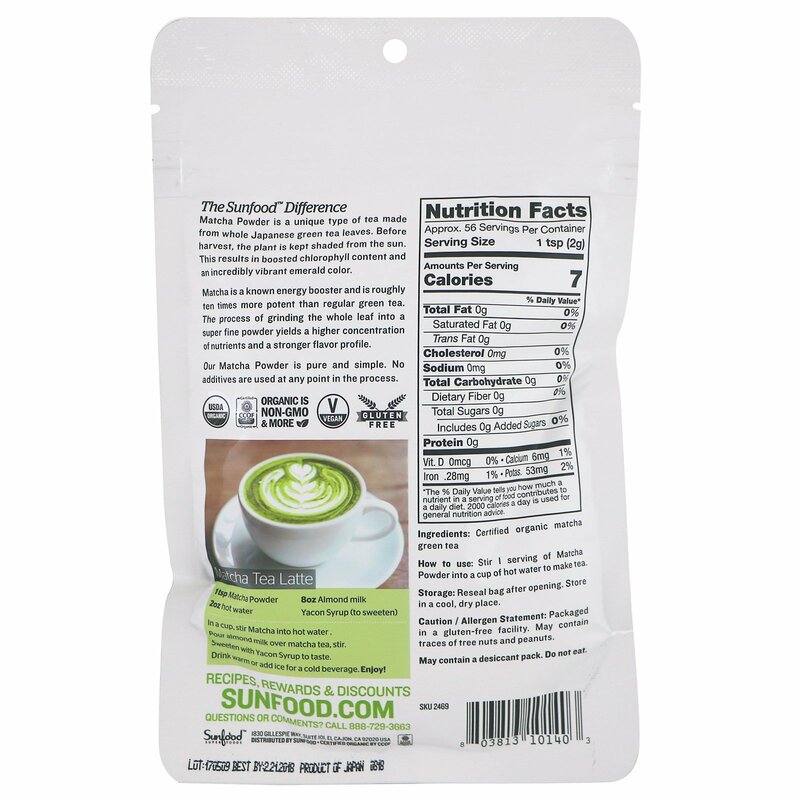 Certified organic matcha green tea.